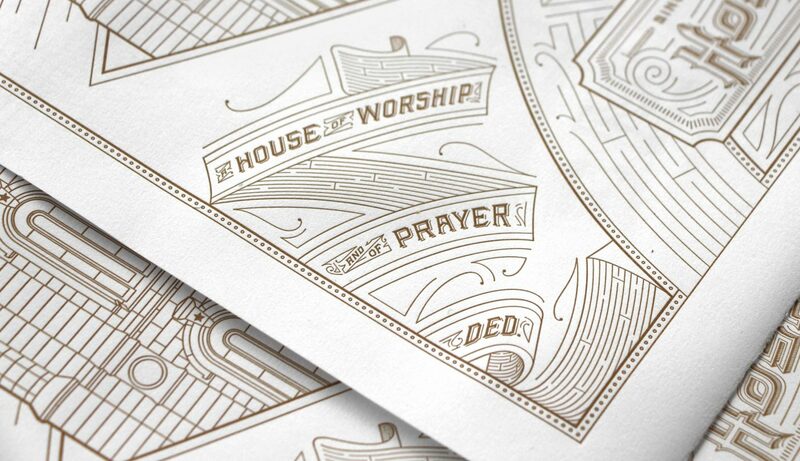 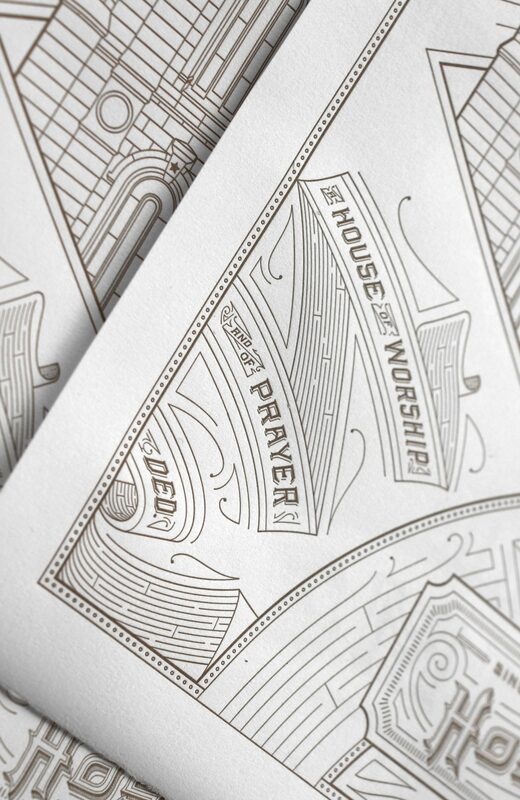 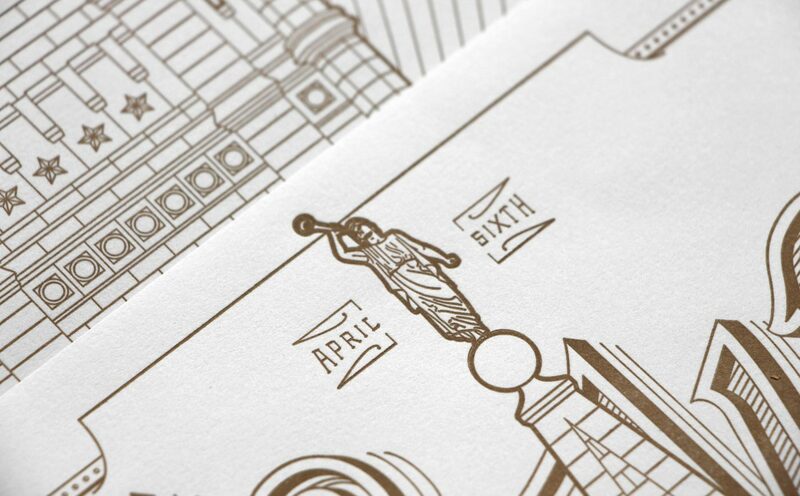 Letterpressed on somerset 100# text // $100 // 16″ x 24″ // The historic salt lake city temple is one of the most iconic edifices in utah. 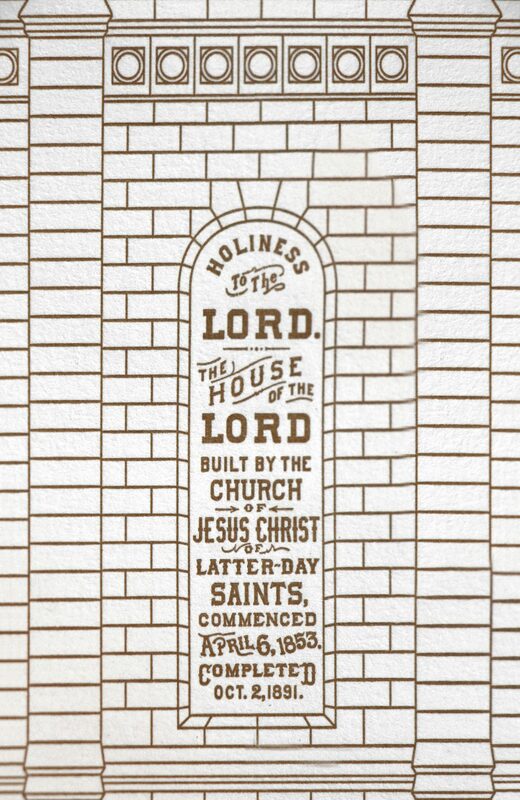 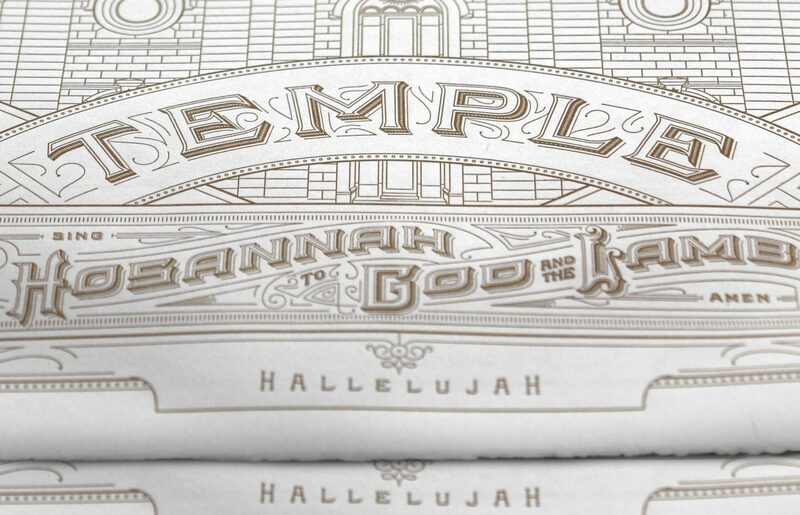 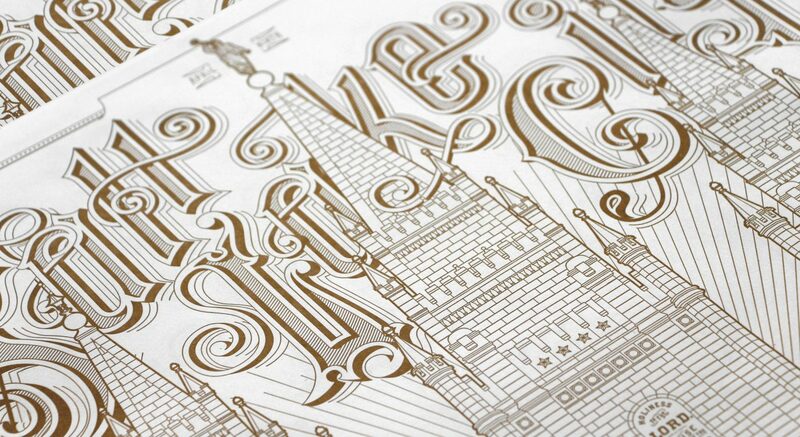 The typography takes inspiration from the late 18th century gas light style, commonly used by early mormon pioneers. 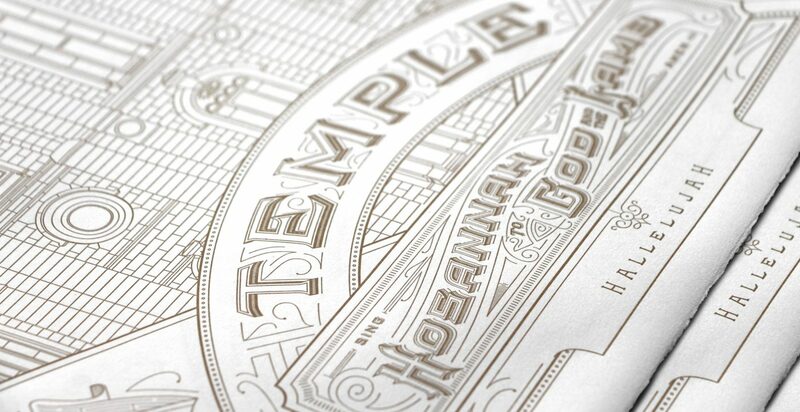 The bottom language of the temple is take from the dedicatory prayer. 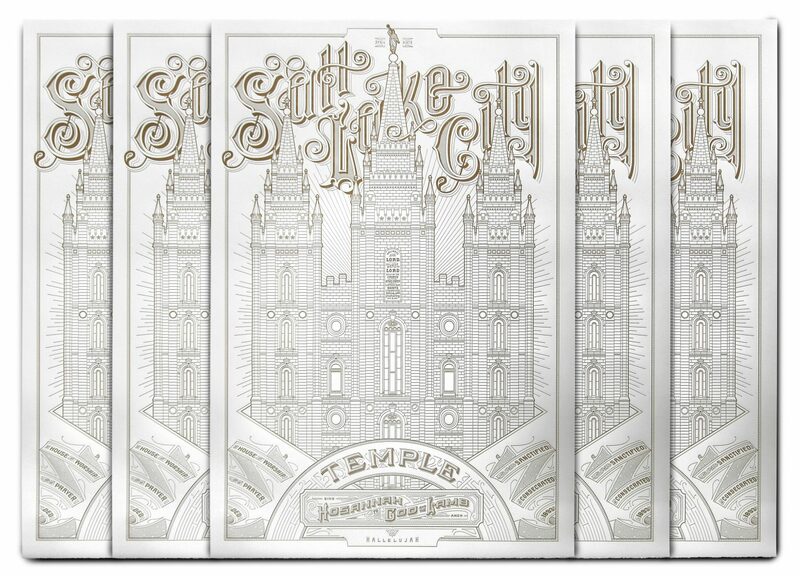 Available for pre-sale.